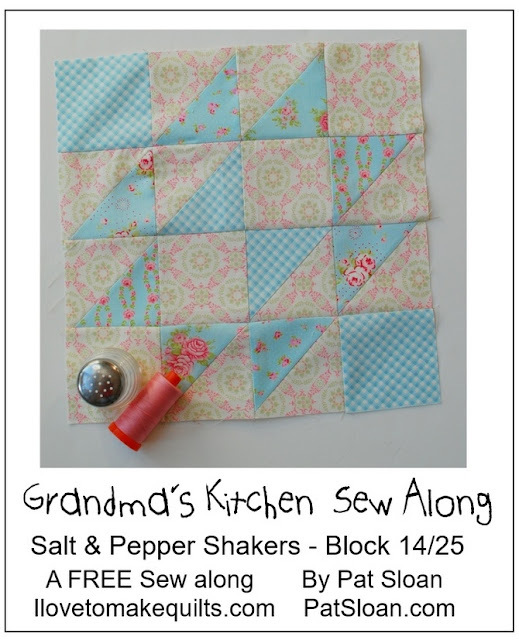 It's time for a new block for Pat Sloan's Grandma's Kitchen quilt along. Here's my block #14, Salt & Pepper Shakers. Nope, those are not salt and pepper shakers, but you know, salt and pepper spice things up. SO...the theme of my block is Avon! Gramma Ann was an Avon lady for decades! 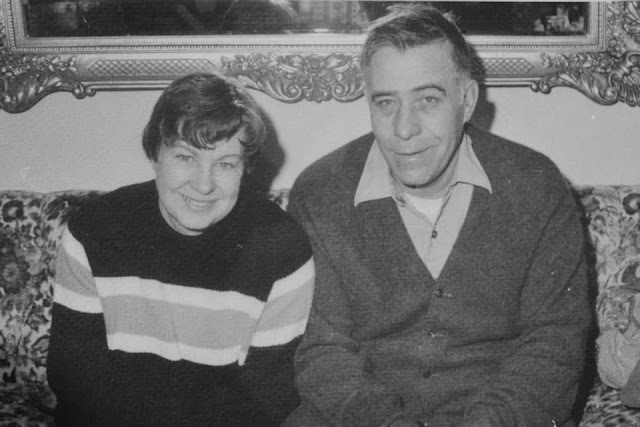 I remember that the closet by her and Grampa's bedroom was always stocked with the latest in make up, perfume, Skin So Soft (aka Minnesota mosquito repellent), and knick knacks. My favorite was the little green boxes of lipstick samples. When we left for Europe this summer, we were three weeks in this quilt along. I knew I would make an Avon block. When I found this makeup print at the Utrecht fabric market, I was so excited. Even the background was a perfect Avon green. 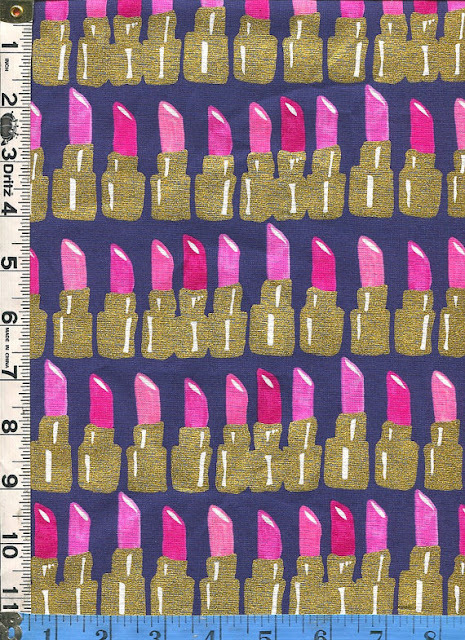 Here at home, I bought this awesome metallic lipstick fabric from Fabricsmart on Etsy. The print is Kaufman Bouffant and Broken Hearts Pink Lipsticks metallic gold on navy blue. I love it because it reminds me of those little lipstick samples. I don't remember when Gramma stopped selling Avon, but she never stopped being glamorous. To me, anyway. Other than high school in the 80s, I've rarely worn make up. 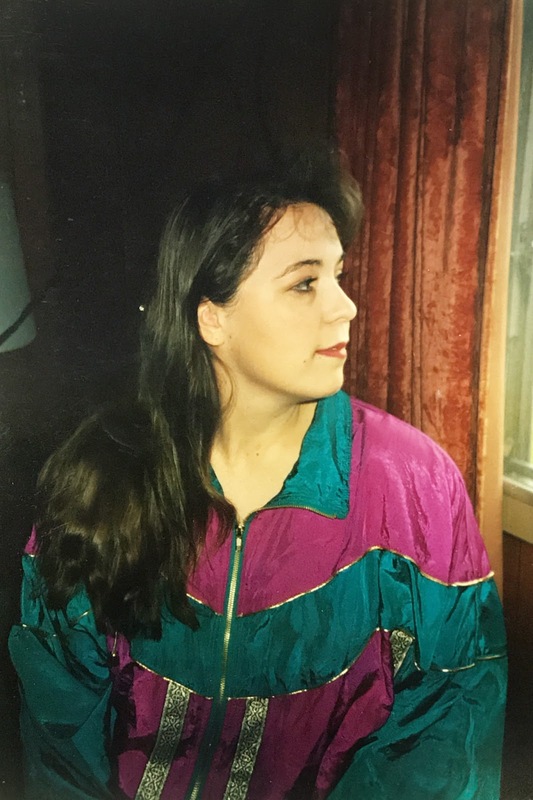 One time, in the early 90s, I was with my mom and Gramma and they decided I needed a little makeover. Gramma gave me one of her tracksuits and glammed me up. Of course, she was already gorgeous in her own track suit and full make up. This is the picture my Grampa kept with him during the War. Keep up with the latest at Avon. 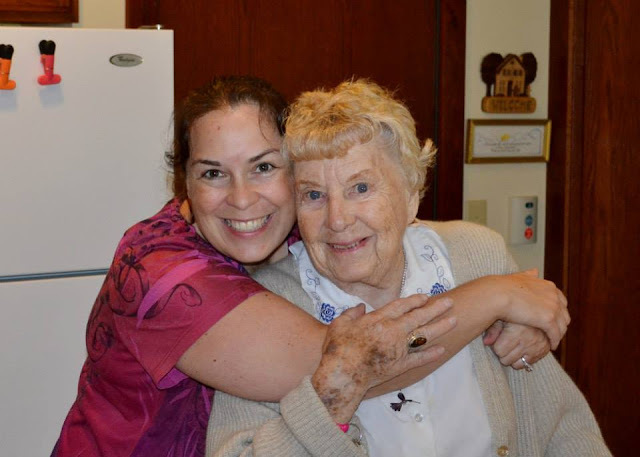 While she sold Avon to help women feel beautiful, she was about so much more than appearance. 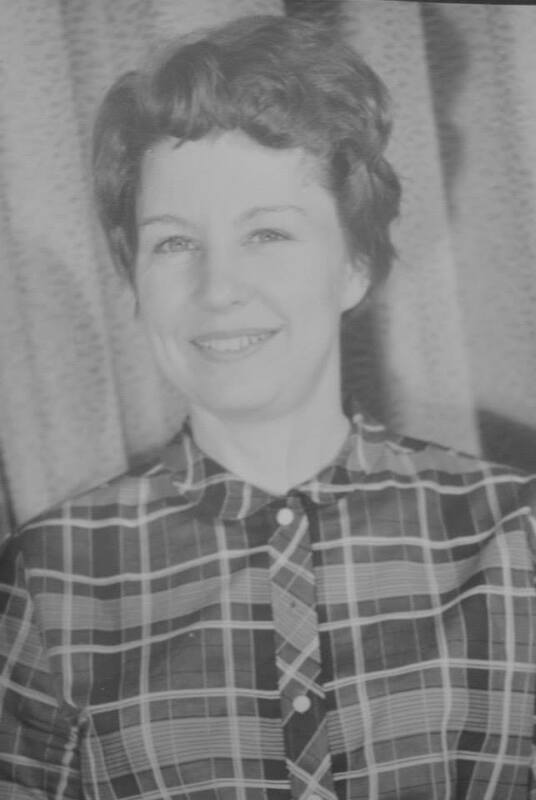 She raised five independent women who weren't limited by the social norms of the day. And they learned for her. In addition to selling Avon, Gramma also worked at the local newspaper. She was intelligent, poised, and beautiful. 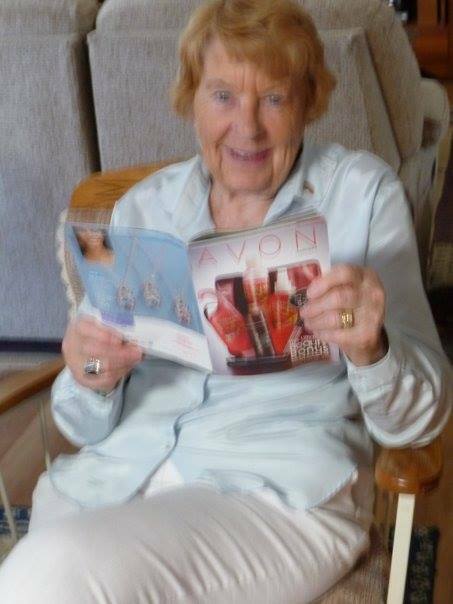 At her memorial service, someone brought one last Avon catalog for her. Here are my blocks so far, minus the Half a Modern and Kitchen Window blocks because I am redoing them. My mother was an Avon lady back in the '70s and early '80s before returning back to school. Your post just took me back to those days as a little girl playing with those tiny little lipstick samples. Thank you for sharing! Happy sewing! Avon was such a great way for a woman to get into business. It wasn't just about make up. What a great way to celebrate your grandmother. Thanks for sharing with Oh Scrap! Love the story, great block. Thank you for sharing those lovely photos. The fabric is playful but your piecing is absolutely no-nonsense, very neat. Love all the pictures. You both look so happy. 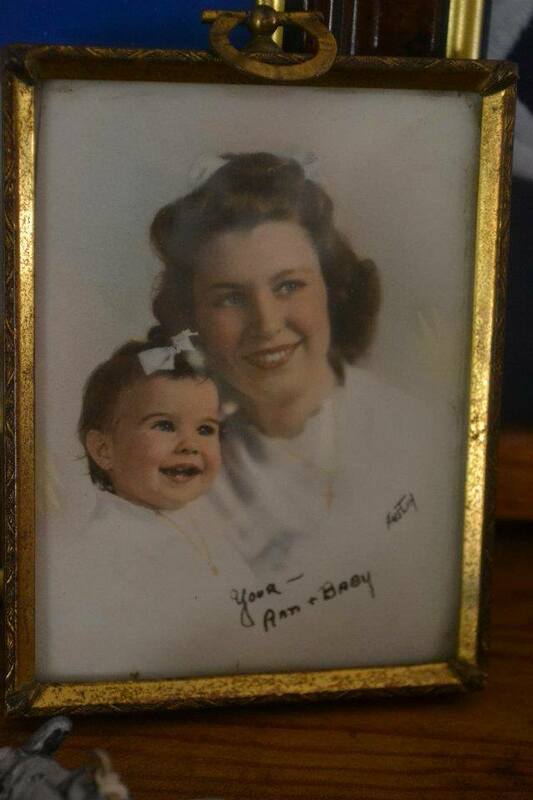 What a beautiful lady your grandma was! Love that lipstick fabric you found. Couldn't be more perfect. Thanks for linking up to Wednesday Wait Loss. 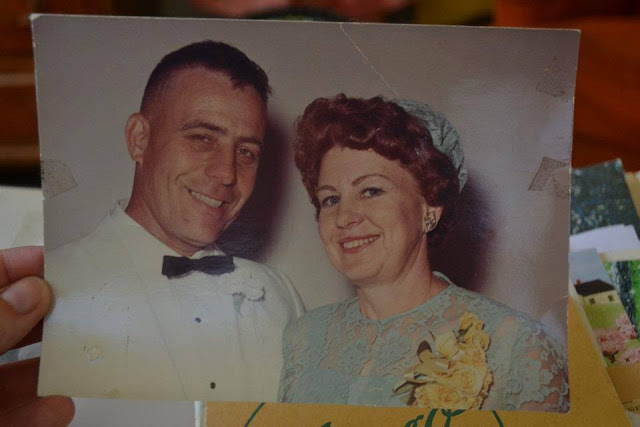 I didn't even know your grandmother, but your post brought tears to my eyes anyway. What sweet memories you have, and wonderful pictures. 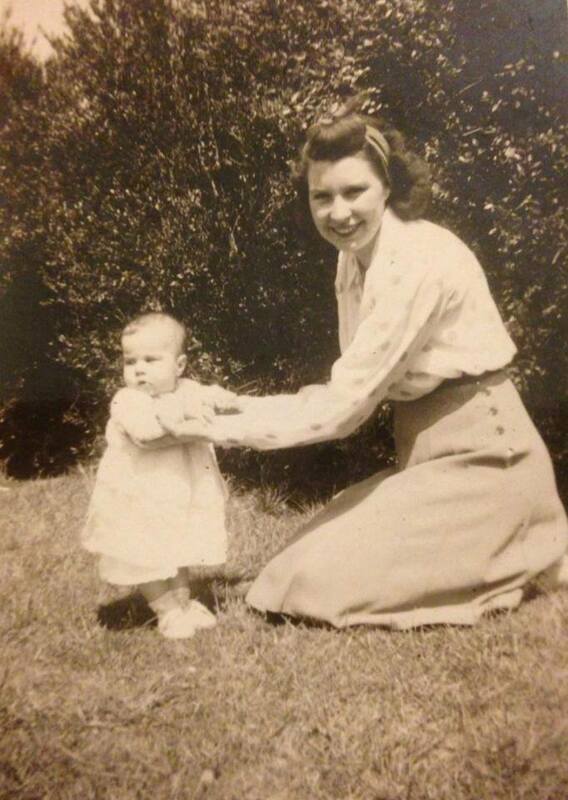 Thank you for sharing your grandmother with us. I have commonalities with her. I have never used a lot of make up, but I sold Avon for years, and was even a summer stand in manager when my children were little. Your fabrics are SO perfect for this block! Somewhere, packed away, I believe I still have both of those SSS ewers and also a glass dolphin. 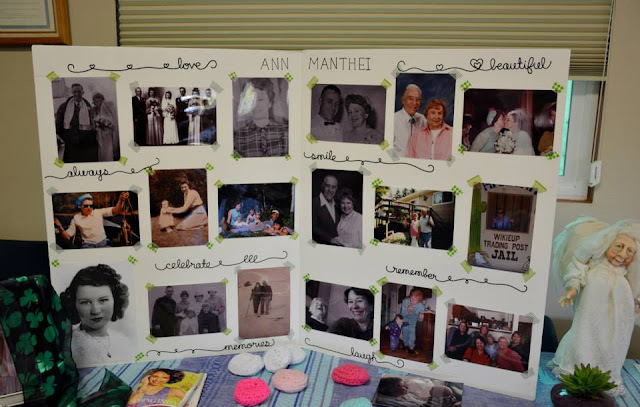 I absolutely love it when quilt blocks come with such a deep and important story! The block is beautiful! Thanks for sharing! !